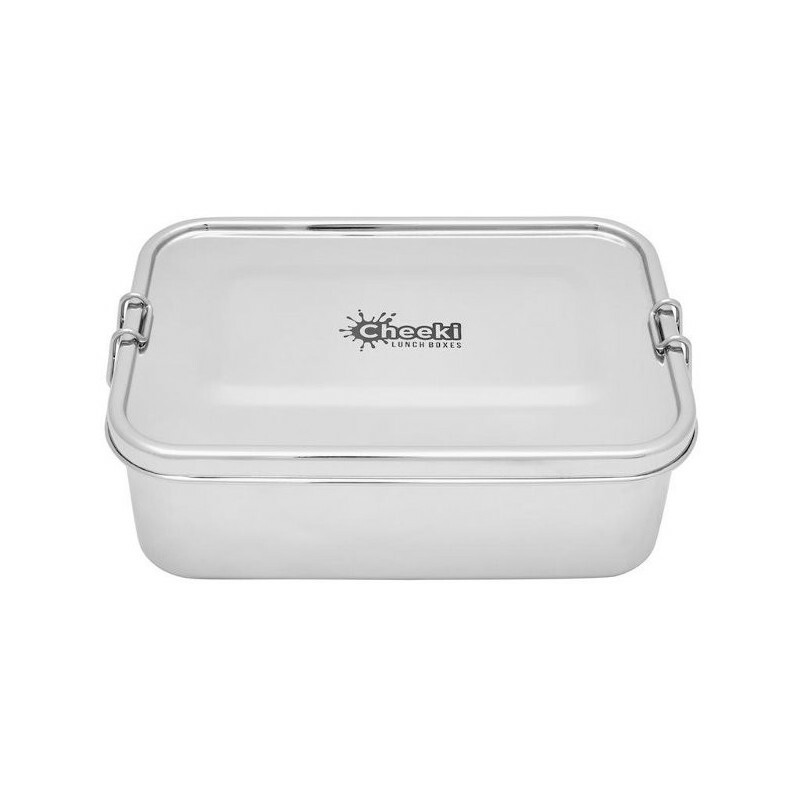 A 100% stainless steel lunch box, completely free of nasty chemicals, completely recyclable at the end of its life, and very stylish. Pack snack foods, meals and more with ease. Great for lunches, large snacks or for long trips. In "Hungry Max" large size. Reusable lunch boxes are economical and better for the environment. Healthier choice to plastic containers, which can leach nasty chemicals. Recyclable - stainless steel and silicone are 100% recyclable at the end of their lives. Large size means it's great for day trips. 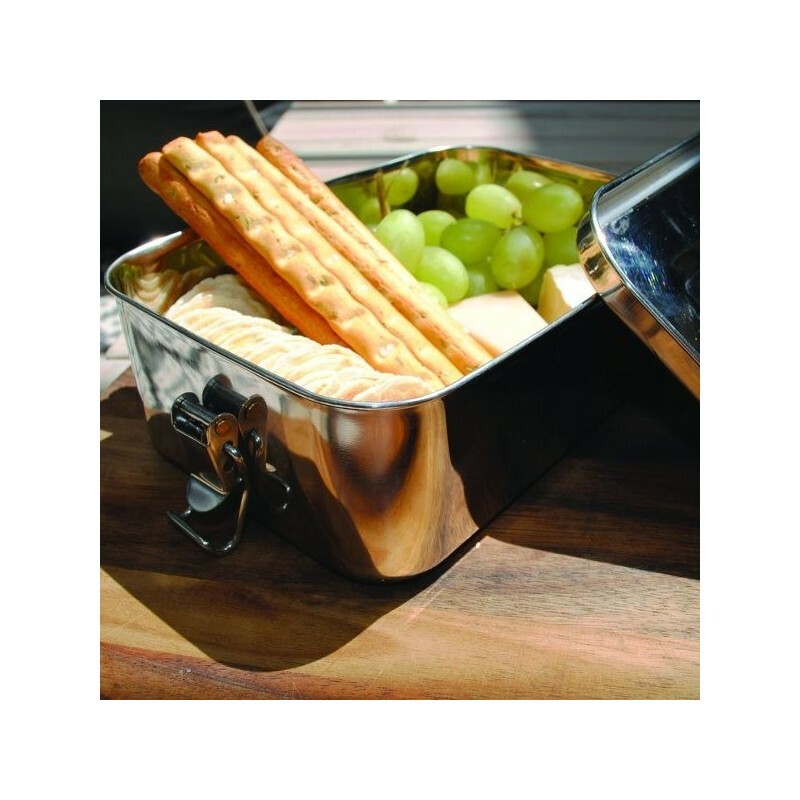 100% stainless steel lunch box and lid. BPA-free, with no linings or paints. 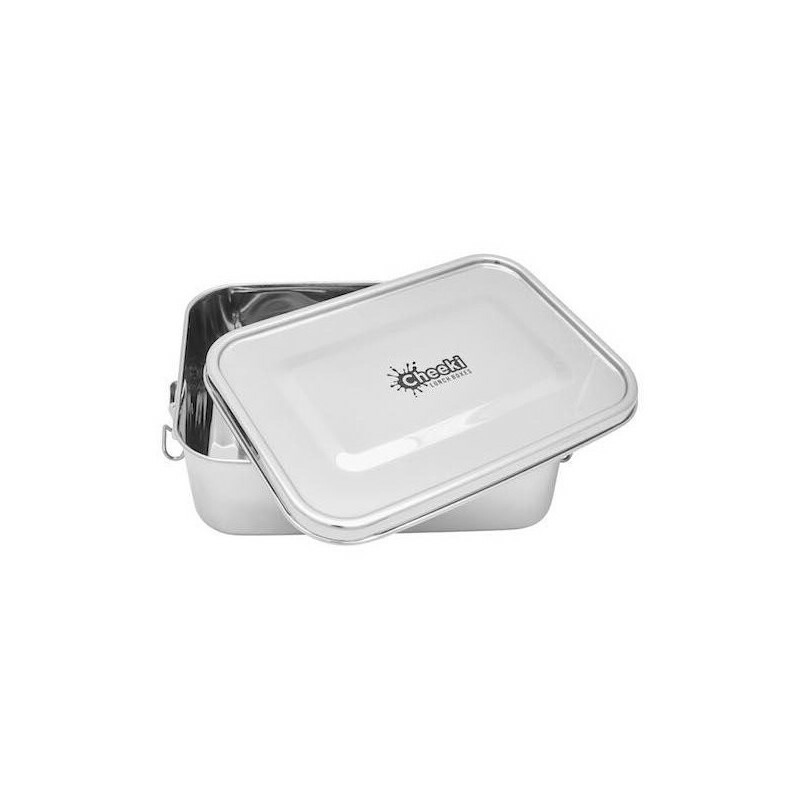 Browse our full range of Stainless Steel Lunch Boxes. I bought 10 of these, all were faulty in one way or another. The brand - Cheeki - were fantastic in fully reimbursing me for all, and their communication was wonderful. However, I don't think the quality of the products has changed. The silicone seal was glued in which was not specified when I bought it, otherwise, I wouldn't have bought it and risked contamination into my food. The glue was also very messy and all up the sides, it didn;t look professional on any of the containers. I've had multiple of them split at the corners after following the correct directions when freezing. They still work, you just can't fill them up very high without spillages through the split (top rim down). 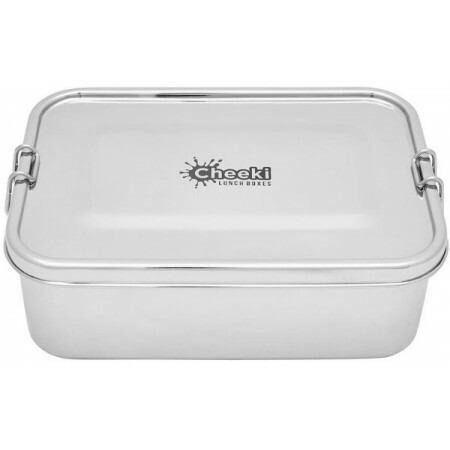 Depsite all this, they are a great size, and great in theory for freezing and storing food.